Bench coach Tim Bogar and first base coach Casey Candaele did not have their contracts renewed for next season and will not return. 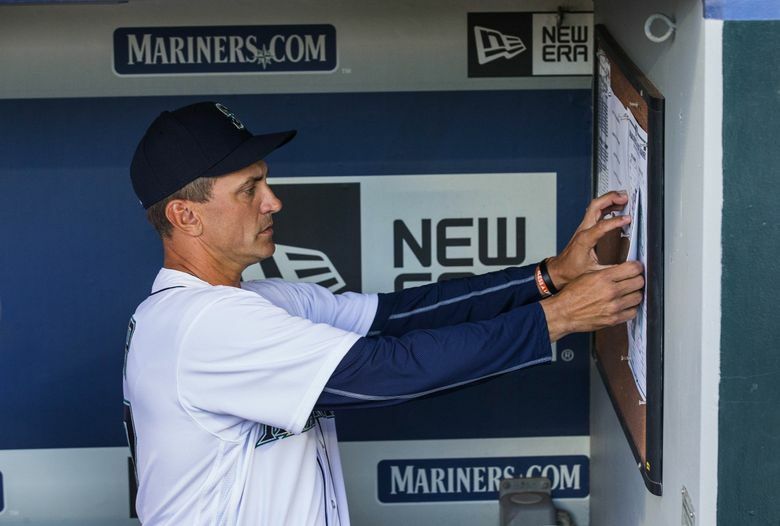 Following a season in which they failed to reach the postseason, finishing with a 78-84 record, the Mariners and manager Scott Servais announced changes to his coaching staff for next season. It’s typical to have turnover following a season of unmet expectations. Bench coach Tim Bogar and first-base/outfield/baserunning coach Casey Candaele did not have their contracts renewed. Bogar, who was a candidate with Servais for the managerial job when Servais was hired in 2015, served as bench coach the past two seasons and worked with infielders. He will likely find a job on another big-league staff, given his lengthy resume. The Mariners’ struggles on the bases this season and fundamental mistakes from the young outfielders made Candaele a coaching casualty despite his friendship with Servais. The Mariners also restructured their staff responsibilities with the returning coaches for next season. Manny Acta, third-base coach the past two seasons, will move to bench coach in 2018, and he will coach infielders and handle defensive positioning. Scott Brosius will move from assistant coach to third-base coach and be in charge of baserunning. Chris Prieto, who served as special-projects coach the past two seasons, will move to first-base coach, and he will be in charge of outfielders and assist in baserunning. Edgar Martinez will return as hitting coach for the fourth season. Mel Stottlemyre Jr. returns as pitching for the third season. Nasusel Cabrera, who served as interim bullpen coach after the All-Star break, will return in some role and will be a candidate for the full-time bullpen job. Fleming Baez will return as bullpen catcher. The Mariners will add a coach in a role to be determined and will look at candidates for the bullpen job. Class AAA Tacoma manager Pat Listach, Tacoma pitching coach Lance Painter and minor league field coordinator Mike Miccuci could be candidates.